If I were to become a serial killer, I hope my eyes are my weapons. 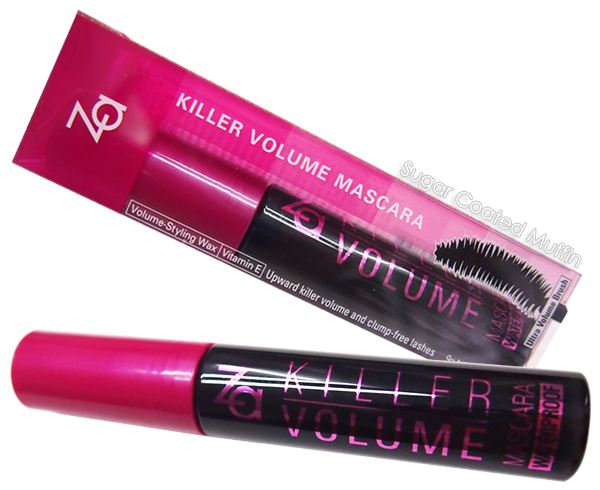 ZA's latest Killer Volume Mascara is designed to give you powerful eyes that will stun. 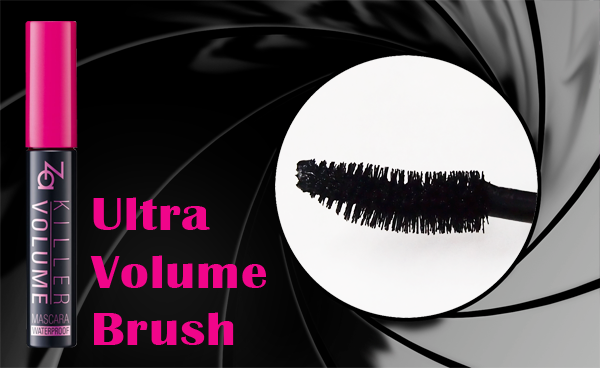 The Ultra Volume Brush can hold up to 170% mascara liquid, giving it the ability to coat each lash perfectly. 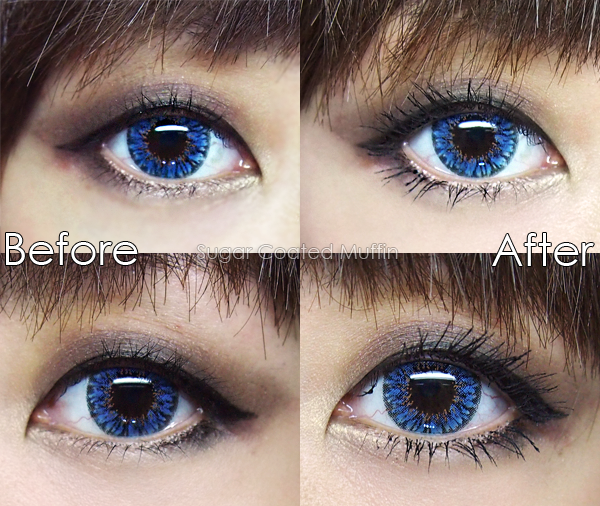 Before and after photos~ Lashes have already been curled in the Before photos. 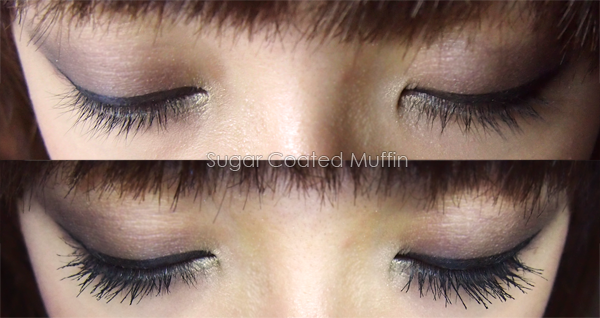 Hollow Air-Fiber in the formula coats lashes completely from bottom to tip so lashes are darker. Volume-Styling Wax and Curl-Keep Polymer oil give lashes a volume boost and ensure lashes stay curled all day long. Voluminous lashes can be achieved with a coat or two (I have 2 layers on here). 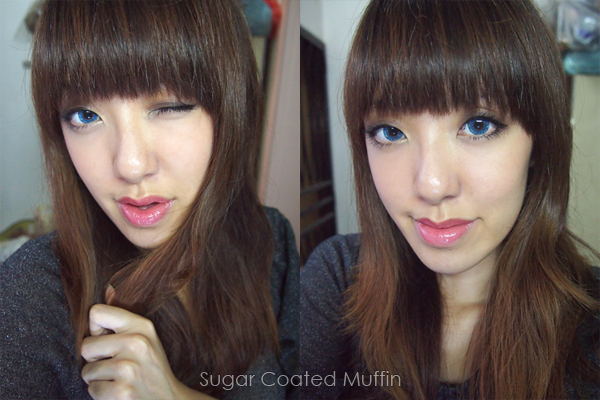 Despite the volume, lashes are not too clumpy and are still fanned out, giving me bigger eyes! Lashes are still soft too! The mascara is also waterproof, smudge free and resistant to water, sebum & tears. 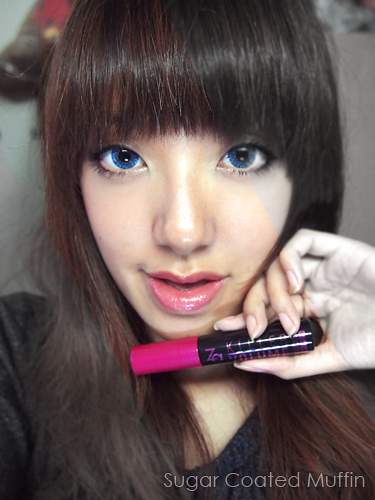 So it gives you killer lashes, not killer panda eyes =_="
ZA Spring/Summer 2013 will be available in January 2013. To complete your look, there will be an addition of 3 new shades to the Eyes Groovy Collection (07 Pinkish Brown, 08 Clean Gray & 09 Wine Red) plus 3 new Lip Drops to compliment your eyes (11 Sweet Sweet, 12 The Pink & 13 Crystal Queen). 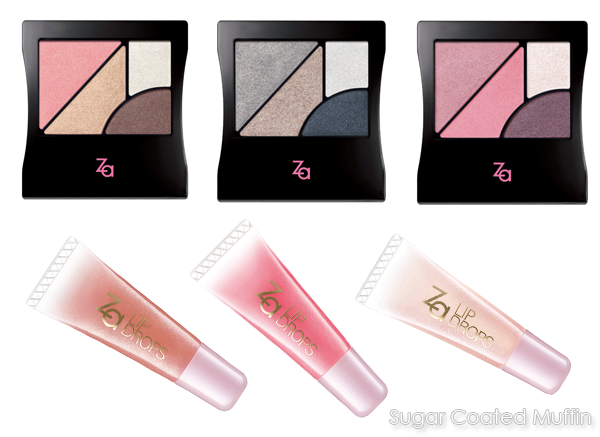 The SS 2013 collection also includes the Perfect Fit Two-Way Foundation and Perfect Fit Concealer (review soon). 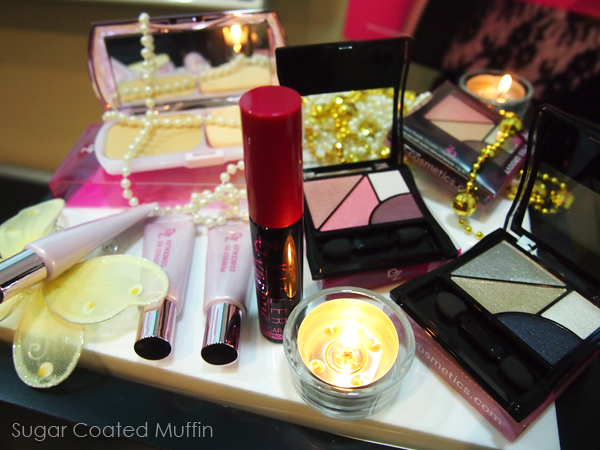 The eyeshadow on the left (Pinkish Brown) and middle Lip Drop (The Pink) look like really pretty shades! Ingredients : Hydrogenated Polyisobutene, Cyclopentasiloxane, Trimethylsiloxysilicate, Talc, Beeswax, Dextrin Palmitate, Synthetic Wax, Paraffin, Petrolatum, Silica, Pentaerythrityl Hydrogenated Rosinate, Octyldodecyl Isostearate, Caprylic/Capric/Myristic/Stearic Triglyceride, Copernicia Cerifera (Carnauba) Wax, Polyethylene, Tocopherol Acetate, Microcrystalline Wax, Dipropylene Glycol, Tocopherol, Phenoxyethanol, Iron Oxides. It looks great for a party night look though ;) The mascara looks good, I almost thought you were wearing falsies! Hahaha I used to look like this all the time.. 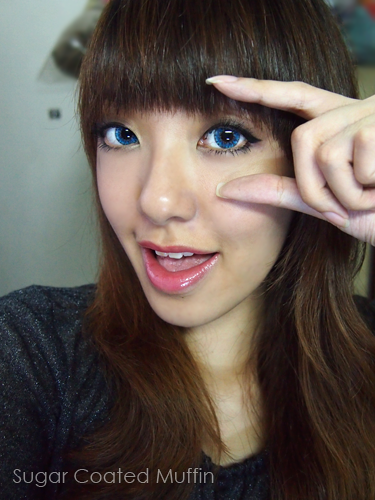 But then I got lazy =_=" Yup.. Can replace my falsies! I really like that first photo Isabel! And wow, this mascara looks amazing on! And Omgah!! I love those lenses! May I know what they are? 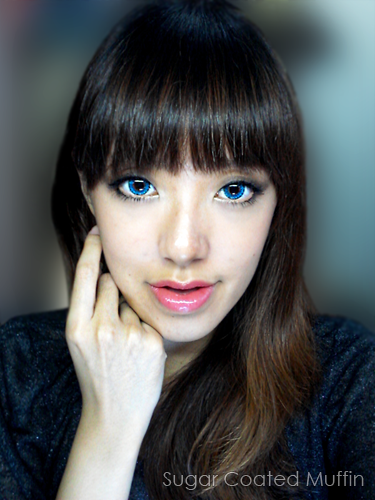 Lenses are MagicColour Sparkling Blue. The mascara looks great on you and I love your pictures. SO CLEAR!! Teach me how! Actually my photos have been really blur recently =_=" Photoshop! Is the mascara really good? Because u didnt state its pros and cons. :( looking for a mascara now. Sorry, I stopped posting Pros and Cons already =x Yup, it's good! Been using it ever since I got it ^_^ It's great with length, darkens lashes, holds the curl, separates each lash very well and doesn't clump if used properly (max 2 coats).